Providing Affordable, Reliable Roofing Services in Carbondale, IL. Our staff of trained professionals can work closely with you to make sure that your project is finished on time and that you stay within your budget. Your property deserves the protection! 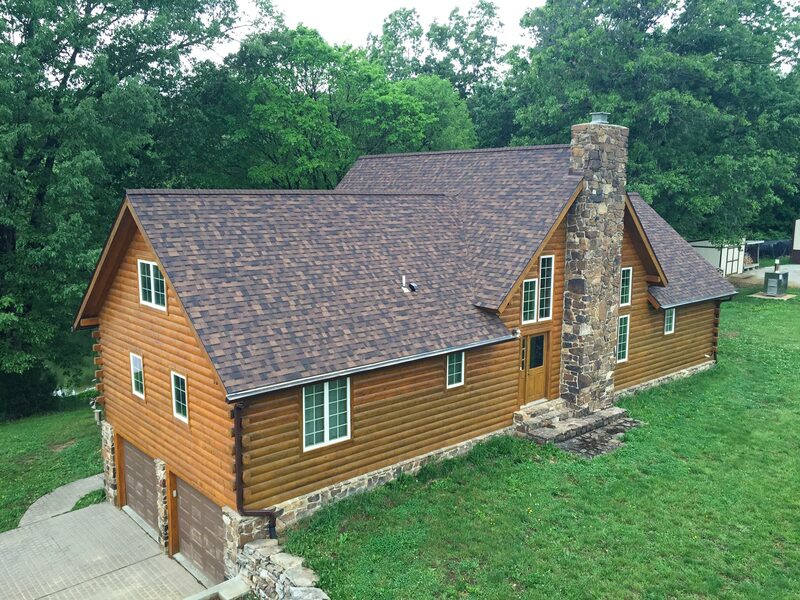 We are Southern IL's premier installer of stone coated steel shingles (Metro & Decra), standing seam, & aluminum shingles, & DaVinci shingles. For the past 28 years we have continued to provide Southern Illinois with excellence in roofing. We strive to exceed your expectations while staying within your budget. Your property is an investment no matter what it's worth, and the roof is the primary defense against the weather. Metal shingles that look like asphalt shingles, wood shake, or tile! Time tested reliability since 1957. Commercial & Residential Roofing since 1987! Professional roofing provided as we would expect as customers in terms of service and value. We are very proud of our reputation and look forward to future generations of service. Gary D. Clover opened shop in 1987, quickly gaining notoriety for his hard work ethic and attention to detail. With his crew, he has completed well over 4,000 full roofs in the heartland. Commercial & Residential Roofing since 1987. Contact our experienced roofers for a FREE estimate today! Stone coated steel shingles are composed of 26 gauge steel encapsulated with galvalume for the superior metal roofing. The stone granules are embedded and then glaze coated. Warranty period is 50 years, offering Carbondale the best metal roofing in the area. Proud Factory Authorized Installers for Genflex EPDM & TPO, Duro-Last PVC products, Malarkey modified bitumen, and 100% silicone coating systems. Serving the Carbondale region, our specializations are commercial low slope and commercial metal roof coatings. We offer a 20 Year Warranty on membrane roofs. A tradition of ethical and honest business conduct is the cornerstone of our philosophy, and the foundation of our continued success. We provide outstanding service through teamwork, experience, accountability and innovation – all of which is reflected in the quality of our work. We clearly identify our clients’ goals and visualize innovative solutions, using careful planning and proactive communication to achieve results. This crew does such a great job…hard workers…keep up the good work! I personally recommend these guys! They do great and correct work fast and efficiently! Call em today for all your roofing needs! Our roof still looks great one year later!!! Reasonable pricing and they were very professional. We are so happy with our new roof!! Thank you so much!! So happy with our roof!!! We highly recommend them!! Professional roofing provided as we would expect as customers.